2) the New Cold War. Most localised trends, tensions, repressions and "hot" conflicts are actually expressions or symptoms of these two global trends. Apostaphobia may be defined as a consuming, well-founded fear of loss of adherents, which manifests primarily as zealous, uncompromising repression and denial of fundamental liberties -- in particular the right to convert -- by violent and subversive means. While the section on apostasy, apostaphobia, and postmodernism focuses entirely on the phenomenon of Muslim apostates and the apostaphobia of the dictators of Islam, the issue of apostaphobia also applies to India's dictators of Hindutva (Hindu nationalism) who are behind the unprecedented, severe and escalating persecution of Christians in India. For while apostaphobic dictators claim that their apostaphobia is driven by a noble concern for national security and religious purity, tradition and (ironically) "liberty", apostaphobia is actually driven by political ambition and the lure of empowerment through religion. That is why apostaphobia manifests almost exclusively amongst leaders and beneficiaries of sects or organisations that do not separate religion and politics: Islam, Hindutva and various other religious-nationalist forces. The main focus of this posting, however, is the New Cold War that coming upon us and is set to have a profound and negative impact on global religious liberty. The trend is going to be for persecution and repression to get a whole lot worse. An 800-word summary entitled "Not by might, nor by power" has been written for the March-May edition of the Australian Evangelical Alliance quarterly magazine, Working Together, which will be available on-line at from mid-March. In 1989 the Chinese Communist Party (CCP) crushed pro-democracy protests in Tiananmen Square. The brutality of this repression shook multitudes of Chinese from their apathy and drove them -- particularly students, intellectuals and professionals -- to reassess atheistic Communism and the CCP's dictatorship. Widespread disillusionment led to widespread rejection of CCP repression and a significant turning to Christ amongst the Chinese elite. Similarly, globalisation and the revolution in information and communication technologies have exposed Muslims to the reality of Islamic terrorism (such as 9/11), repression (particularly of women), barbarism (such as in public executions), backwardness (widespread poverty and illiteracy, destruction of schools), propaganda and lies (as weapons of war) and irrational hysteria (such as was displayed in the Cartoon Intifada of February 2006). This has shaken many Muslims from their apathy and driven them -- particularly students, intellectuals and professionals -- to examine their religion and reassess their faith. Just as in China, widespread disillusionment is leading to apostasy and a not-insignificant turning to Christ amongst the Muslim elite. Presently the exodus from Islam is little more than a trickle, but that is because the dam that holds back the masses is built primarily of fear. One of the most phenomenal trends of 2007 was the eruption into the open and onto the world stage, not of the issue of apostasy (for religious liberty advocates have been raising the issue for years) but of apostates themselves. The apostates who are courageously stepping out of shadows and into the open to pursue their right to religious liberty with security are fighting their own fear in the hope that if their fear can be conquered it will be one less brick in the dam wall. Increasingly, refugees and immigrants from the Muslim world are apostasising in the West. Furthermore, though apostasy may be costly, some European ex-Muslims are summoning the courage to stand up and speak up for their rights. The German Council of Ex-Muslims was founded in March 2007, the Council of Ex-Muslims of Britain was founded in June 2007, and similar organisations also exist in Finland, Denmark, Norway, and Sweden. Concerning the 9/11 launch date, Mr Jami said, "We chose the date because we want to make a clear statement that we no longer tolerate the intolerance of Islam." Violence and death threats have forced Mr Jami into hiding. Between May 2007, when he announced his plans for the Committee, and August 2007, Mr Jami was violently attacked by Muslim fundamentalists on three separate occasions. In his pre-Islamic days (pre AD 622) Muhammad was a sincere and passionate religious reformer motivated by a deep respect for the local Jews and Christians. In vain he called the polytheistic Arabs to turn from their idolatry and sought recognition as a prophet from the Jews and Christians. The Arabs rejected and persecuted him, and the Jews and Christians rejected and refused to recognise him. But unlike the prophets in whose footsteps he claimed to be following, Muhammad refused to suffer rejection. His response was to compromise his message by absorbing and Islamising pre-Islamic Arabian religion (which made it easier for the Arabs to submit to him) whilst mandating death for polytheism (a threat that made it even easier still!). Then, to ensure that rejection would no longer be an option, he mandated death for blasphemy and apostasy. Islam and the dictators of Islam have been protected by these means for 1400 years. A spiritual battle for the Muslim world has commenced in earnest. As apostasy advances, the apostaphobic dictators of Islam will intensify persecution with the aim of consolidating fear to stem the flow. The battle will be costly and bloody, especially in the Middle East where US influence is waning and Iran is fast becoming the new hegemon. The Church must give its full and active support to these courageous apostates regardless of the cost. The Western world has for far too long been turning its back on Islam's victims -- apostates, women, persecuted minorities (especially dhimmis: Jews and Christians under Islamic subjugation) -- choosing instead, short-term political and economic geo-strategic gains to the detriment of justice and long-term security. Even in the Church, Islam's victims, in particular persecuted and subjugated Christians, are frequently rejected, betrayed and abandoned by Christians pursuing comfortable stress-free, feel-good religion; as well as by those pursuing appeasement or rapprochement with Islam at any cost. Surely the greatest threat to the nations and churches and individuals who abandon the Lord's children, comes not just from the hostile forces they empower, but from the Father of the suffering Church, the Almighty Lord God himself. For in all their affliction, he too is afflicted (Isaiah 63:9; Matthew 25:45). We cannot reject, betray and abandon the suffering Church and expect God to sympathise with our duplicity. Due to globalisation and the revolution in communication and information technologies, it is now easier to spread news, information and the gospel around the world than ever before. One would think it is just a matter of time before light conquers darkness and truth is victorious! However, as noted earlier, this is a spiritual battle, and so we should not be surprised to find that a spiritual counter-offensive has been launched. Just as an era of irreversible, irresistible openness has come upon the world, the West, including much of the Church, is submitting to the spirit of the age: postmodernism, which specifically targets truth. As the world opens up to truth, the post-modern church abandons it, or at least abandons its claim to it. Not only does postmodernism cripple evangelism, but because post-modern Christians believe truth is relative, they have a really hard time supporting or even caring about Christians who are prepared to suffer and die for it. The devil is such a cunning adversary. After World War Two, the North Atlantic Treaty Organisation (NATO, ) was created to protect Western Europe from Communist imperialism. The socialist states responded by creating their own military treaty: the Warsaw Pact. A Cold War raged between the two nuclear-armed blocs for nearly half-a-century. When Communism fell and the Cold War ended (1989-1991) there was great optimism that swords could now be beat into ploughshares (Isaiah 2:4b) -- that an age of global peace, harmony and friendship had dawned. Alas, it was not to be, for sin and human weakness still reigned and the Soviet Union's transition was totally bungled by both Russia and America. The break up of the Soviet Union (1991) and the devastating collapse of the Russian economy left America as the world's only superpower. The Warsaw Pact dissolved, but NATO remained and pursued eastward expansion. And while America ruled the world (so to speak), Russia transitioned from superpower to gangster-capitalist oligarchy to rising siloviki state. Upon the dissolution of the Soviet Union, Russia's borders were rolled back almost overnight to roughly where they were in 1613. Islam quickly exploited this unprecedented opportunity and inserted itself into the newly open, chaotic, impoverished spaces. Islamic missionaries bearing oil money from the Gulf were welcomed, as were trained, battle-hardy mujahideen from Afghanistan who adopted the various nationalist struggles (before converting them into Islamic jihads!). Before long, southern Russia, western China and Central Asia were being seriously threatened by imperialistic Islamic revolutionary and terrorist forces. In response, China, Russia and Central Asia established the Shanghai Cooperation Organisation (SCO ), ostensibly for friendship, trade, solidarity and co-operation in security issues, but also and increasingly as a buffer against Western pressure and sanctions. It is very difficult, especially when you have limited facilities and institutions and all you know is heavy-handedness, to counter Islamic revolutionary and terrorist forces without upsetting Western sensibilities. The task is made all the more difficult because Islamic revolutionary and terrorist forces, being militarily weak, routinely use human shields along with lies and propaganda to manipulate the Western media in order to extract concessions and even co-opt assistance from the West. In summary: no sooner had the Cold War ended, than the nations of the world were shuffling into new blocs. We are now headed for a New Cold War, this time with a triangular formation of three blocs: NATO (or US+EU+allies), the SCO and the OIC (Organisation of Islamic Conference, . This bloc also includes those sub-Saharan African states that, while not OIC members, have sold their independence to Libya's Colonel Muammar Gaddafi). Despite the competition inside each bloc -- America vs Europe (NATO), Russia vs China (SCO), Sunni vs Shi'ite (OIC) -- each bloc is committed to consolidating its power and expanding its sphere of influence. The OIC and SCO blocs represent not only the world's most repressive regimes but the world's most energy-rich states. As these blocs consolidate, the influence of the US -- which leads the world's bloc of liberal democracies -- declines. Bolstered by their alliances and their power (wielded increasingly through control of oil and gas), repressive regimes now have little motivation to yield to US pressure to improve religious liberty or increase openness. Furthermore, as NATO continues its eastward expansion, all the while criticising and shaming the SCO states for their short-comings with regard to democracy and human rights, the SCO states are increasingly viewing America and NATO (which is normally viewed as a vehicle to advance American hegemony) as competitive and hostile. This fuels a vicious cycle of tension and suspicion, which is resulting in an escalation in persecution of Protestants (and Catholics) in SCO states -- states which only a decade ago were pursuing reform and seeking American rapprochement. Meanwhile, Islam is not only consolidating, but lining up behind its new hegemon: Iran. As US influence wanes in the Middle East, the Balkans and in Asia, Muslim leadership will no longer have the motivation to pursue moderation or reform, or to restrain hostile Islamic forces. The degree to which evangelicals in the Middle East and the Balkans have been tolerated and protected for purposes of public relations and propaganda may soon become evident. One of the greatest tragedies of our times is that after the fall of Communism, the Russian parliament was still dominated by Communist die-hards who were able to pull strings and spoil reforms; while US policy remained influenced by anti-Russian sentiment and "Russia experts" for whom Communism and Russia were forever synonymous. This ensured that post-Communist Russia continued to be treated as a threat. The opportunity for the rapprochement that could have neutralised Islam was lost. America vs Russia tensions are particularly problematic in those regions where the interests of the OIC, the SCO and NATO (or US+EU) compete: in particular the "non-aligned" religious fault-line regions of the Balkans and the South Caucuses. NATO got its foothold in the Balkans at the expense of the Serbian Orthodox southern Slavs (natural allies of Russia's Orthodox Slavs) by empowering Iran, Saudi and al-Qaeda backed Islamic terrorist and separatist forces -- the mutual enemy of the NATO and SCO states. US competitive zeal for markets and hegemony can sometimes be so intense that it overrides all considerations regarding long-term global security. Likewise, Russia got a foothold in West-leaning Georgia by supporting Muslim ethnic separatism in the autonomous (self-declared independent) province of Abkhazia. As the three blocs consolidate, the only way to tackle the threat of Islamic imperialism will be for the NATO and SCO blocs to stop competing and start co-operating: militarily, politically and economically, for the sake of our mutual interest -- long-term global security. On 29 January 2008, Stratfor Intelligence (Geopolitical Diary) stated: "Al Qaeda, the reason for being involved in the region [the Middle East] in the first place, is essentially dead. The various Sunni Arab powers that made al Qaeda possible have lined up behind Washington. Iran and the United States may still wish to quibble over details, but the strategic picture is clearing: a US-led coalition is going to shape the Middle East, and it is up to Iran whether it wants to play the role of that coalition's spear or its target." This is one occasion where I find myself in strong disagreement with Stratfor. First, I do not believe that al Qaeda is "dead". Secondly, I do not accept that the Sunni Arab powers are "lined up behind Washington". Just because Arab sheiks and princes shake hands with President Bush and buy American weapons doesn't necessarily mean they are "lined up behind Washington". For while Washington has been courting the Sunni Arabs, the Sunni Arabs have been courting Iran. I personally agree with Omar Salman's assessment that an era of Iranian hegemony in the Middle East is upon us. As was explained and forecast in the WEA RLC Trends 2006-2007 posting entitled "Shi'ite Ascendancy" (link 9), the Shi'ites are seducing the Sunnis and uniting the sects through violence against Israel. They started this process in 2006, using Hezballah (Shi'ite proxy of Iran) in Lebanon and Hamas (Sunni, but sponsored by Iran) in Gaza. While this is obviously bad news for Israel, it is also bad news for the Christians of the Middle East, because eventually this violence will target them as well, especially as US influence wanes -- or departs. 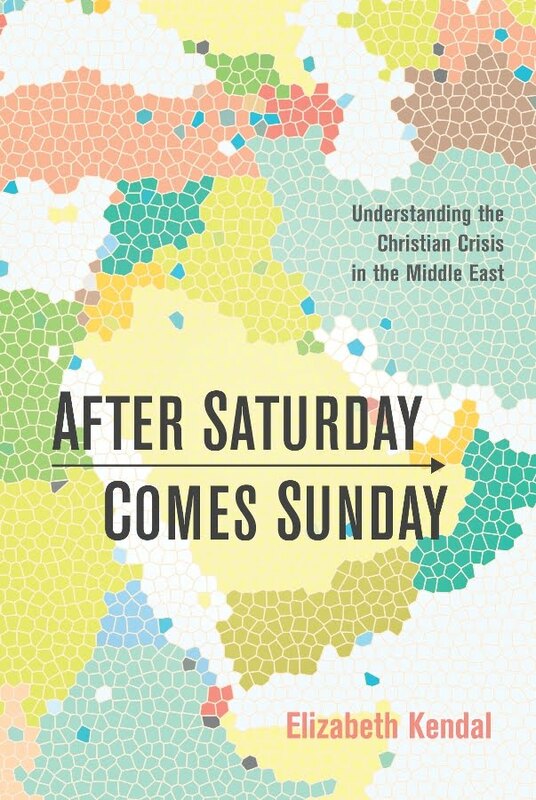 For as the old Muslim war-cry goes: "Baad a- Sabt biji Yom al-Ahad" ("After Saturday comes Sunday", meaning, after we deal with the Jews we'll deal with the Christians). While Sunnis and Shi'ites are traditionally enemies, we must never underestimate the ability of Sunni and Shi'ite fundamentalists to unite for the purpose of advancing Islam; they have done so in Chechnya against the Russians and in Bosnia and Kosovo against the Serbs; they are doing so in the Middle East against Israel and will do so against Middle Eastern Christians when "Sunday" comes. Yes, the Sunni Arab states are lining up, but it is behind apocalyptic Iran. According to terrorism analyst Yossef Bodansky (Defense & Foreign Affairs Strategic Policy 1, 2008), the US President has lined up behind Iran too, in order to cut a deal whereby the US will not challenge Iranian hegemony in Iraq and the wider region, in exchange for Iran's guarantee that the US can have an honourable exit from Iraq (one resembling "achievement"). Since the reported November 2007 deal, the violence in Iraq has diminished, Iran's nuclear program has been deemed non-threatening, the Sunni Arabs have lined up behind Iran, and Ahmadinejad has purged his cabinet. With the Muslim bloc consolidating behind Iran it is difficult to see how Mohammed Hegazi (an Egyptian apostate) can secure religious liberty for Egypt. 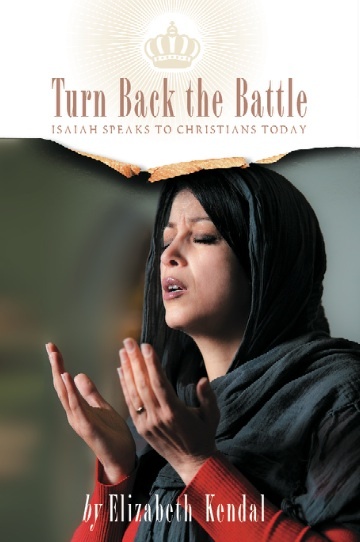 His courageous stand will, however, raise awareness of freedom and justice issues, further expose Islamic repression and violence, and doubtless will be used by God to generate many more apostates who will be in great need of prayer and refuge. As noted earlier, when the Cold War (1989-1991) ended there was great optimism that swords could now be beat into ploughshares (Isaiah 2:4b) and that an age of global peace, harmony and friendship may have dawned. It is interesting to note, however, that in the Isaiah passage (Isaiah 2:1-5) the changed social order is not the means to a changed spiritual order; rather the changed social order is the result of a changed spiritual order. We are entering dark days where war and persecution of the Church are set to escalate markedly. But regardless of what is happening in this world, God is still sovereign, his promises still stand, the Church is still his instrument and prayer and mission-preaching-witness are still his appointed means. 'Not by might, nor by power, but by my Spirit, says the Lord of hosts' (Zechariah 4:6 ESV). picture: Chairman of the Dutch Ex-Muslim committee Ehsan Jami (22) holds up a red t-shirt that reads "I am an ex-Muslim too". 3) UN Human Rights Council: Watershed days. 4) Uzbekistan: A new wave of serious persecution may be just beginning. 9) RL Trend: Shiite Ascendancy.